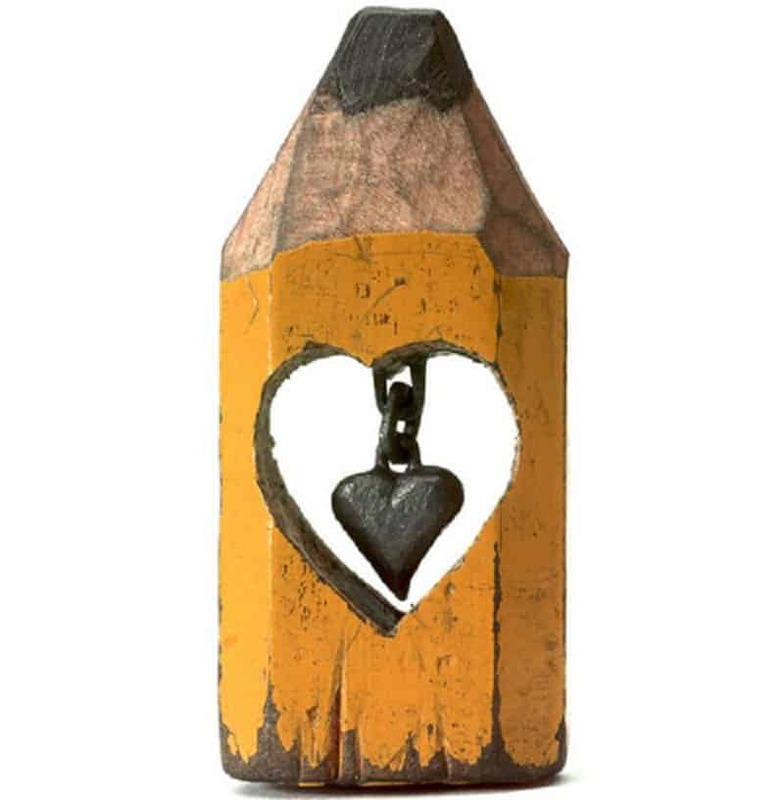 A pencil is one of the most valuable tool for artists around the world. Artists have been using pencils to create stunning sketches for a long time now, and it has truly served them well. 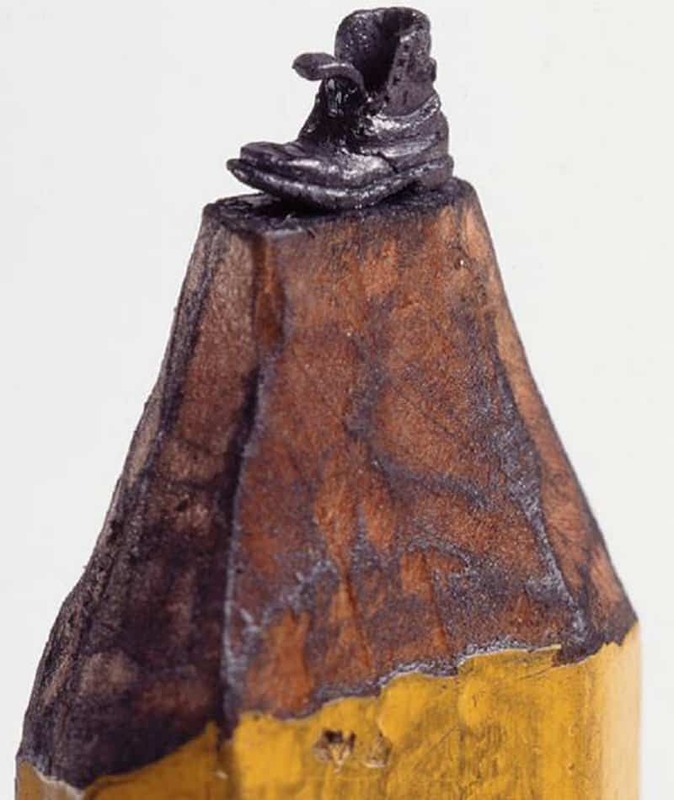 The new generation of artists, however, are capable of transforming even a simple pencil into a stunning work of art. 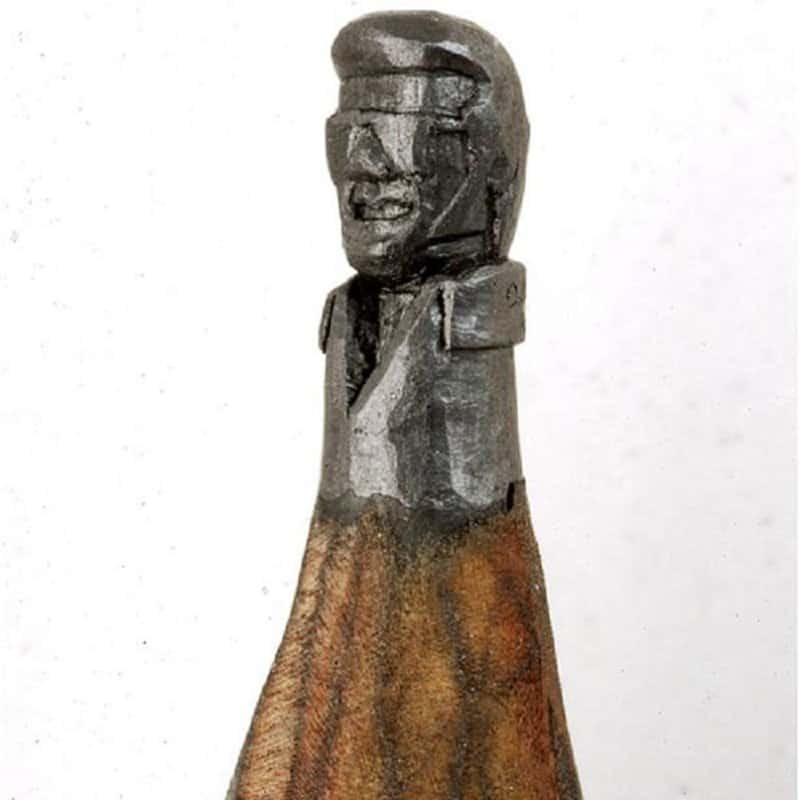 Artists now use the tip of pencils to create unique pieces by shaving and carving the pencil in the right way. 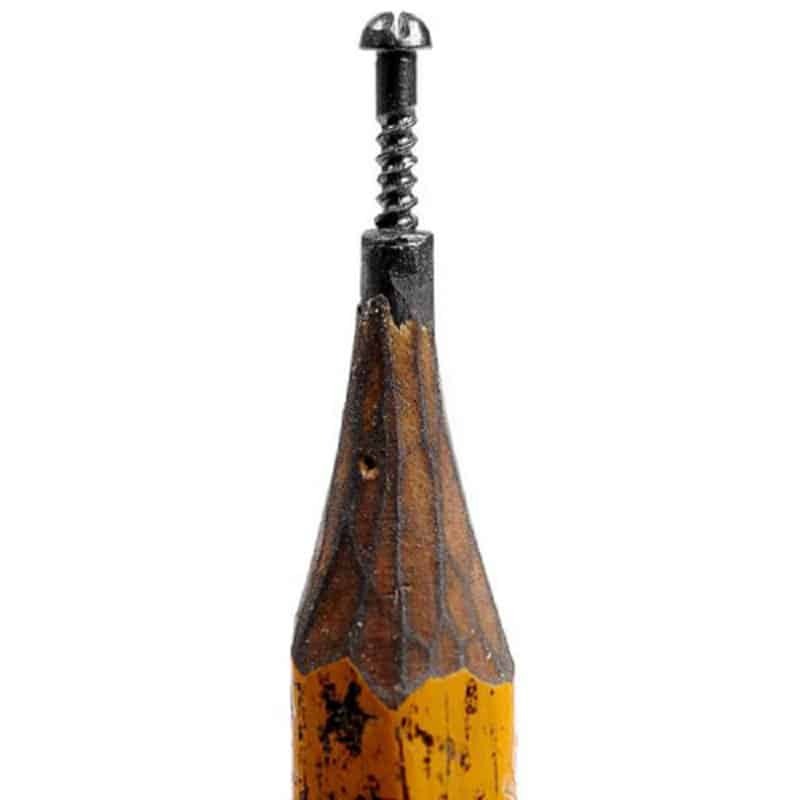 This list features 10 of the best works featuring carved pencil tips. 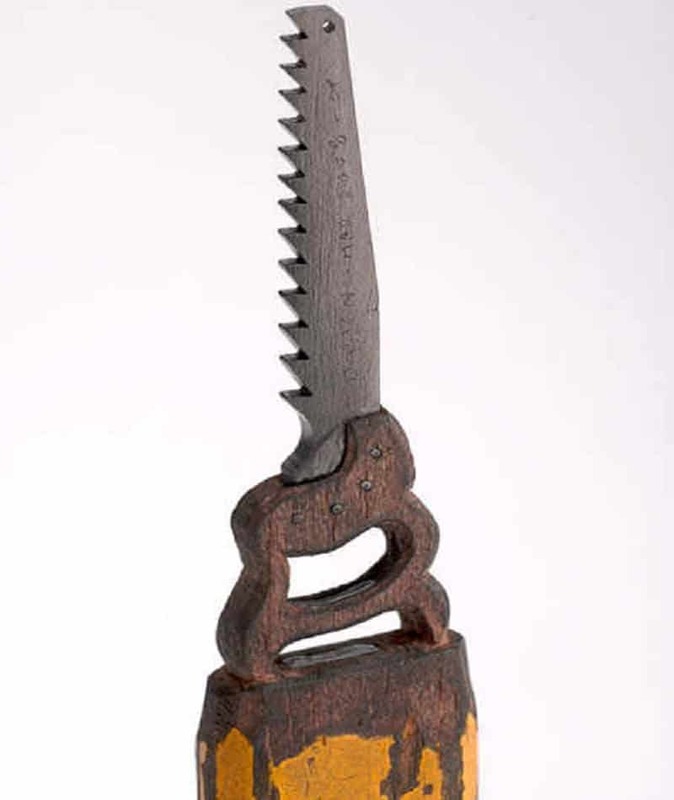 The saw carved into this pencil is extremely well done, right down to the jagged edges. 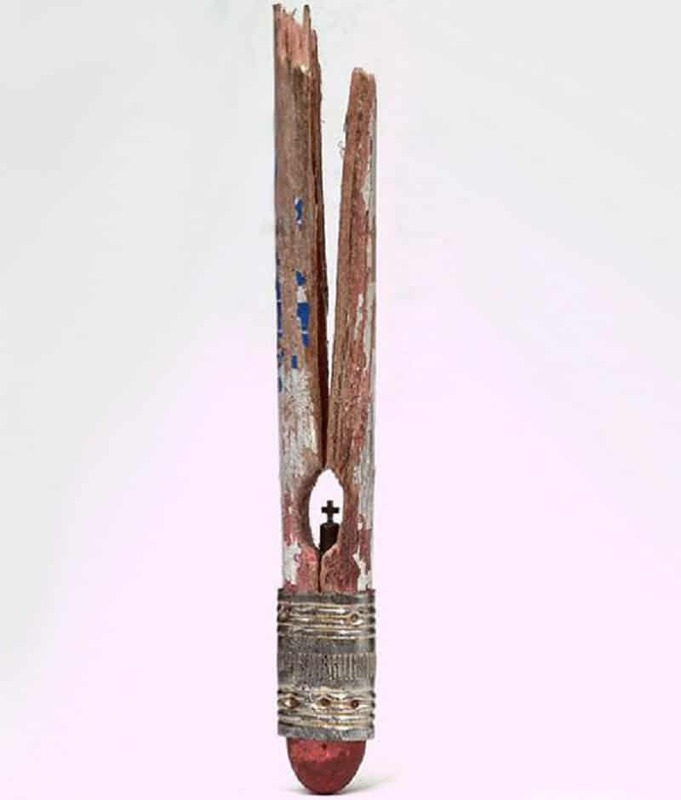 A unique piece featuring a minute cross inside the core of a pencil. Two delicate hearts have been strung together to create this beautiful piece. 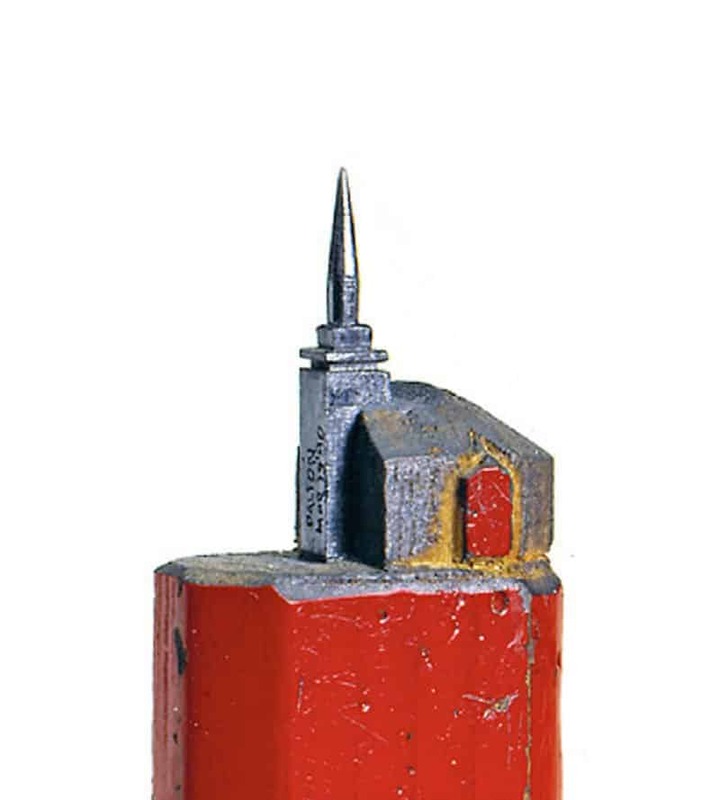 The level of detail on this church carved on top of the pencil is amazing. You can spot the holes created for the laces in this masterful minute piece. 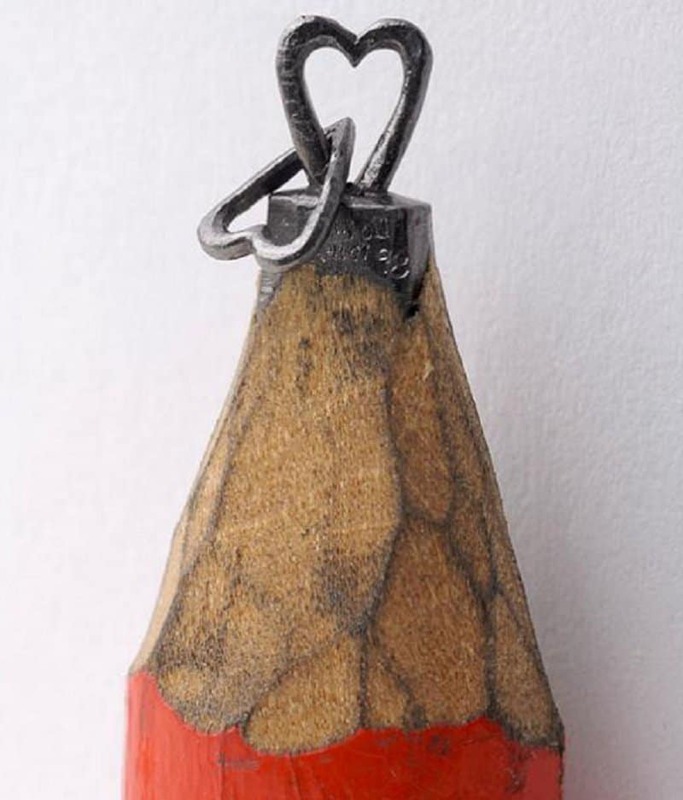 The artist managed to create a delicate piece by carving inside the pencil. 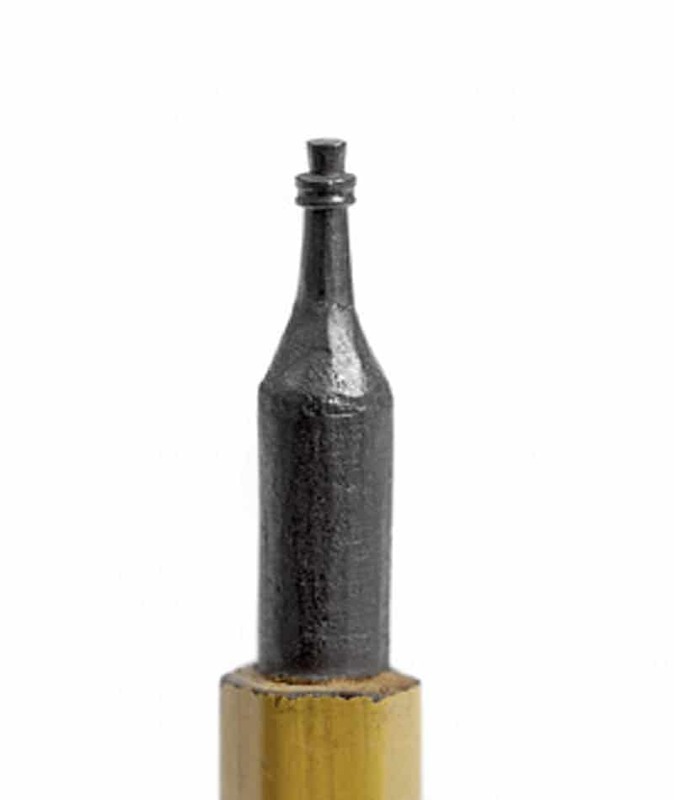 An elegant bottle of wine has been carved onto this pencil tip. The screw that has been carved onto this pencil looks extremely realistic. A unique tribute to one of the best performers of all-time. 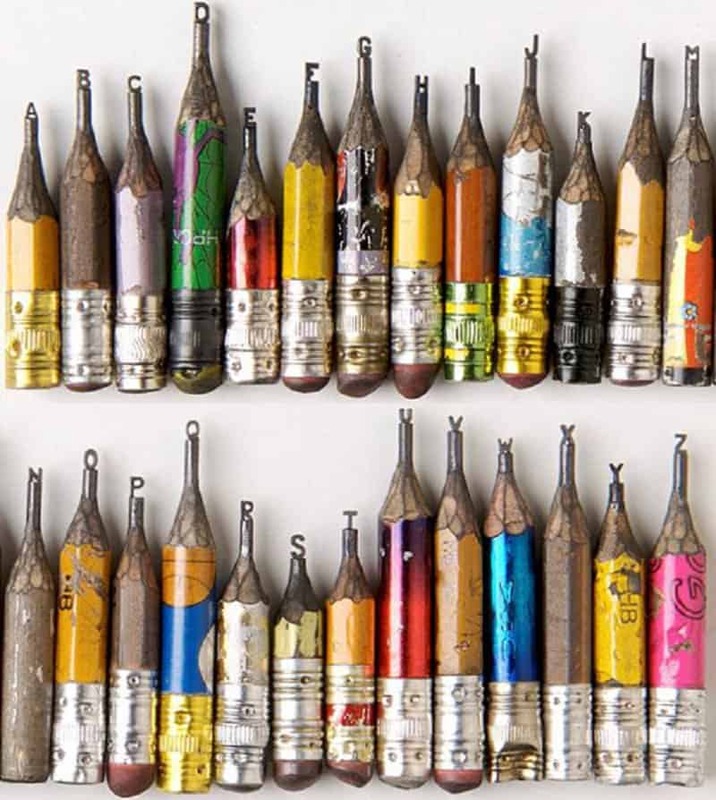 A set of pencils have been alphabetized based on the carvings they bear.